You plan to spend a night or a week in Lyon ? Choosing your hotel is very important since the quality of your stay depends on it. Fortunately, we are here to help. We selected the best hotels to please everyone, with all types of location, price and services. They are all different, but they do share something: the best quality of service. Follow us! The Crowne Plaza Lyon, in the 6th district, was designed by architect Renzo Piano, who also designed the Centre Georges Pompidou in Paris. It is a luxurious yet affordable hotel with a very large panel of services, particularly useful for business travellers: two meeting rooms, organization of seminars, conferences, etc. And indeed, Business travellers are a significant part of its customers, since the hotel is located near the Cité Internationale, which is business center. Nearby, you will find the magnificent Tête d’Or Park, and the contemporary arts museum a few hundreds meters away. Also check the programme of the Amphithéâtre 3000 which is not far, it may be worth it. Finally, you are only a few minutes away, in transport, from the downtown. 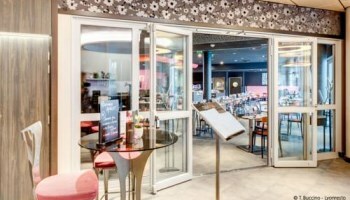 Le Lounge is the hotel’s bar and it is great, but the Bistro Rive Gauche (BRG), the gastronomic restaurant of the Crowne Plaza Lyon, is awesome. You must give it a try! After your lunch, you can walk along the alleys of the Tête d’Or Park and visit the zoo and the Botanical Garden, or use the fitness room of the hotel, well equipped and at your free disposal. 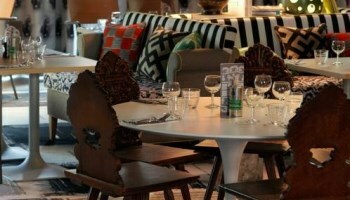 What we like: The gastronomic restaurant Le Bistrot Rive Gauche. What we love: The nearby Tête d’Or Park, magnificent whatever the season. The Art deco-styled rooms of this 19th century building will please you. They are all equipped with Wi-Fi, television, minibar and, above all, aircon. The private bathroom includes a walk-in shower or a bathtub and is quite bright and spacious. The Mercure Lyon Centre Beaux-Arts hotel is very well located in the shopping center of the 2nd district, not far from the Place Bellecour. The famous Saint-Jean Cathedral and the Saint-Georges church are only a dozen minutes walk away, as well as the Saint-Paul district, which is the historic and medieval center of the city. The reception is open 24/7, and the establishment displays several services, such as a groom service to bring your breakfast to your room, free newspaper in the living room and a baggage-locker service. The advantage of this hotel is its wine bar, to please both connoisseurs and beginners. What we like: The original decor of the rooms. What we love: The wine bar and the advice of the staff. In the 5th district, the Villa Florentine is located in the heart of the Vieux Lyon district and enjoys a wonderful view over Lyon. From the hotel you can walk to most of the interesting places, including the fine arts museum (900m) or the Fourvière Basilica (350m). the Villa Florentine is an ancient convent, which explains its striking beauty. 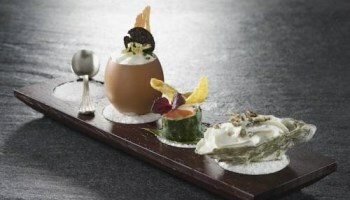 It comprises a gastronomic restaurant with a Michelin Star, called Les Terrasses de Lyon. 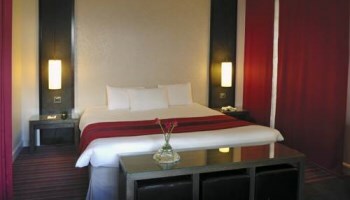 The elegant rooms include aircon, television, and private bathroom. 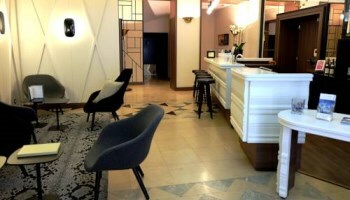 The hotel also proposes a hammam, a sauna, a fitness training room and a beauty parlor. You should really love the place, it is ideal to have some rest and relax. What we like: The restaurant terraces over Lyon and the gastronomic meals. 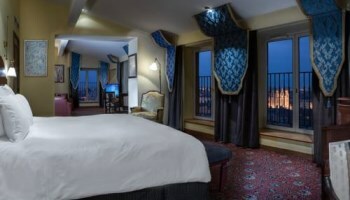 What we love: The view over Vieux Lyon from some rooms. Despite its lack of stars, Le Gourguillon is a luxury hotel of the 5th district. 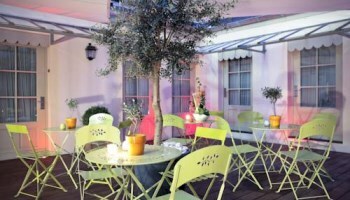 Its garden and terrace, in the heart of Lyon, is a perfect place to savor the continental breakfast of the hotel. Your rooms includes every characterics of a luxurious hotel: balneo or spa bathtub to relax, hair dryer and toiletry items, television, fridge and coffee machine. 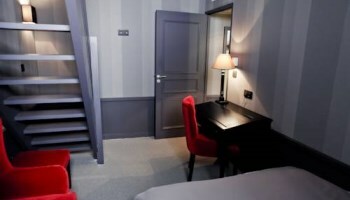 The hotel is well situated, only 400 meters away from the Saint-Jean Cathedral and Vieux-Lyon metro station, which allows you to cross the city very quickly. What we like: The Saint-Jean Cathedral nearby. What we love: The balneo bathtubs in each room. 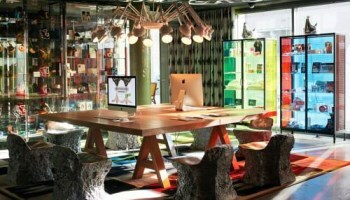 Even if it boasts no stars yet, the Mama Shelter Lyon is a trendy hotel in the 7th district with a large variety of services. The spacious and luxurious suites of the hotel are all equipped with an iMac, a private bathroom including toiletry items, a minibar, a DVD reader, a television, and a small kitchen with a micro-wave oven and a fridge. Some of them are even fit for disabled persons. 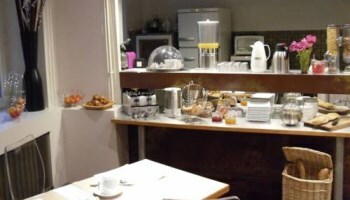 The hotel comprises a restaurant with French food and proposes every morning a buffet breakfast. Please also try the nearby bakeries and restaurants, they are great. 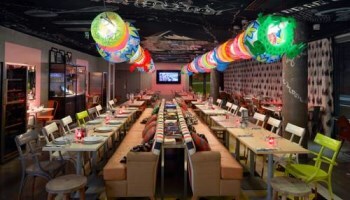 Not far from the River Rhône, the Mama Shelter Lyon is very well connected to the transportation network. You can easily walk to the Place Bellecour as well (25 minutes) or to the Musée des Confluences. Gerland stadium is not far if you take the metro at Jean Macé station. 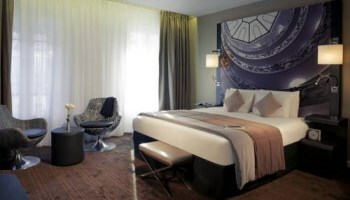 What we like: The decor, very different from the other hotels. What we love: The many services at your disposal in the rooms. No, you’re not dreaming, this is indeed a four star hotel costing less than a hundred euros per night ! 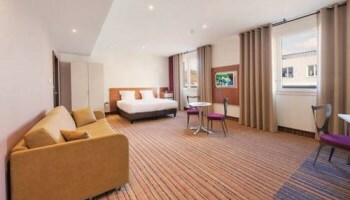 The Alexandra hotel manages to achieve the highest quaity with reasonable prices. The hotel is located in the heart of Lyon, near Ampère - Victor Hugo metro station, and not far from the Place Bellecour, in the 2nd district. 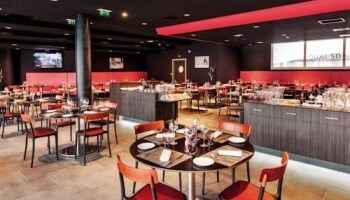 The district does not lack traditional lyon’s restaurants, the “bouchons”, specialized in meat products. Every room in the hotel has an access to the elevator, a free Wi-Fi connexion and a private bathroom. The Alexandra hotel is perfect, thanks to is location in the car-free center of Lyon, the quality of its services, and its prices. What we like: The quality price ratio. 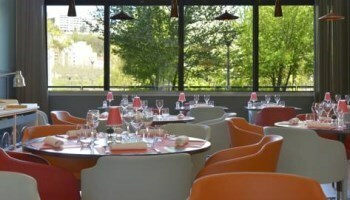 What we love: The “Bouchons lyonnais”, the picturesque restaurants around the hotel. 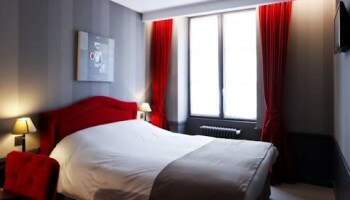 The main assets of the Pont Wilson hotel, in the 3rd district, are its vicinity with Lyon Part-Dieu railway station (about 15 minutes away) and its excellent quality price ratio. 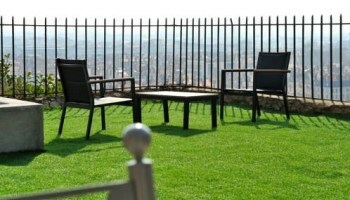 Indeed, from 80€ per night, you can enjoy the services of a modern four star hotel, with a view over the Fourviere hill and its basilica. Each room is ornated in a unique way and includes a television, a private bathroom and a hair-dryer. The lift gives access to all floors and enables you to enjoy your breakfast in your room, if you ask for it. 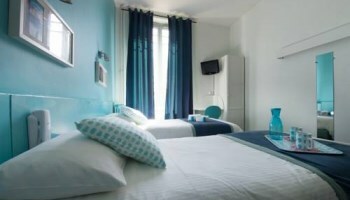 The ideal location of this hotel makes it perfect for a relaxing stopover in Lyon before taking the train. If you want to enjoy the city for a few days, you can access the peninsula via the Pont Wilson, only 50 meters from the hotel. What we like: The quality price ratio, better than any other! 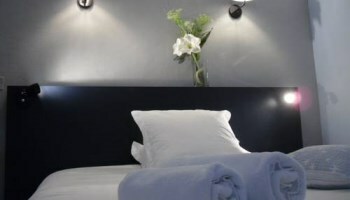 This hotel is ideally located on the Croix-Rousse hill, in the 4th district, and manages to have both the services of a great hotel (free Wi-Fi, private bathroom with a shower or a bathtub…) and the most affordable prices (from 50€ per night). If you have a pet, you can bring it with you, the hotel will not mind. Some of the rooms have aircon and the hotel serves a buffet breakfast every morning. For history amateurs, this hill is where the Canuts, the silk workers, used to live, and the ruins and landmarks of Fourvière hill are not far. Finally, the location upon the hill provides a beautiful view over Lyon, especially at nightfall, but does not prevent the hotel to be well connected to the transportation network thanks to metro line C. Use it to access other famous areas of Lyon, such as the Tête d’Or Park, the Vieux Lyon or Confluence. What we like: The small price for a qualified service. What we love: The Croix Rousse atmosphere. The Saint Pierre des terreaux, in the 1st district, is just next to the famous Place des Terreaux, where you can find the City Hall and the magnificent Bartholdi fountain. 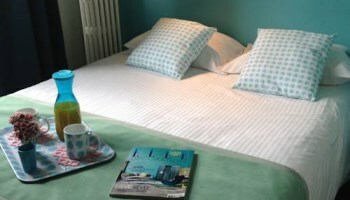 The hotel is a 17th century building which is also worth a look. Every room comprises a private bathroom and a television. 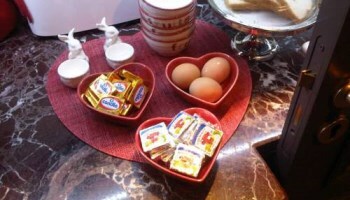 You can ask the staff to bring your breakfast to your room, or you can have it in the common dining room. From here, you can access any place in the city: the metro can take you up to Fourvière or further areas, but you can also roam the Vieux Lyon and walk to Bellecour (about 20 minutes away) to discover the tight and medieval streets of the historic city. 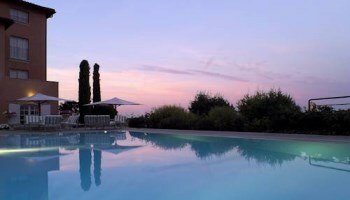 What we like: The location, next to the Saône and at the heart of the city. 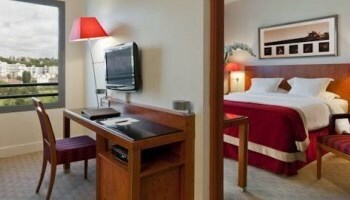 In the 9th district, right next to the River Saône, you will find the Lyon Ouest Hotel. 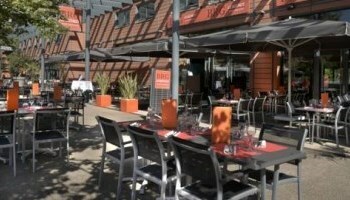 It is near the Lyon Vaise railway station, one minute from the highways A6, A40-42 and A43. 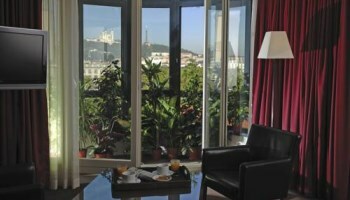 It is the perfect location for a stopover in Lyon. The reception is available 24/7, and your rooms are equipped with aircon, a kettle, a desk, a phone, and the private bathroom includes toiletry items. 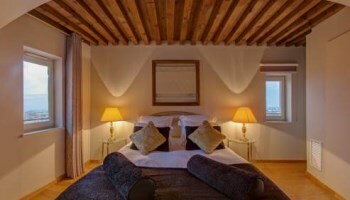 Some of the rooms even have a view over the River Saône. 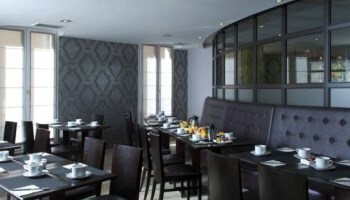 The complete breakfast is served in the hotel’s restaurant, which serves Italian food for lunch and dinner. 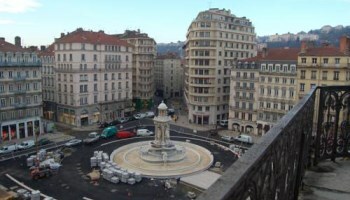 The hotel is not the closest to the center of Lyon, but is well connected to the transportation network and the neighborhood is really quiet. Enjoy it! What we like: The view over the River Saône from some of the windows. What we love: To be so close to the transportation network and the roads.